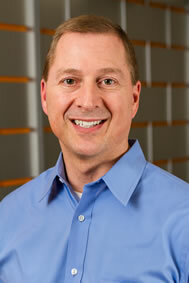 Paul Jarman is the CEO and strategic visionary of inContact. A pioneer of the cloud movement, Paul was instrumental in guiding the company from its roots in telecommunications to its strategic offering of cloud-based contact center solutions. By recognizing that the cloud is one of the most significant technology trends that the software market has ever experienced, he paved the way for a new cycle of corporate growth. inContact is now recognized as the leader of cloud-based contact center solutions, commanding a growing share in the estimated $8 billion contact center market. Paul has been a part of every major enhancement the company has made since 1997, as one of the longest tenured employees of the company. As part of the company’s strategic shift to a contact center software provider, Paul spearheaded four software acquisitions and two telephony acquisitions. He led inContact’s successful addition to the NADSAQ and under his leadership, the company has experienced strong compound annual growth rate in software revenues over the past three years. In support of the revenue growth, Paul has been instrumental in securing significant channel partnerships and growing the sales team to meet market demand. Under his leadership, inContact expanded its geographic borders to Asia-Pacific and Europe, entering each market successfully with significant sales closures. He has also championed significant product enhancements, by pragmatically funding R&D efforts and supporting strategic technology partnerships to support growth, as well as present and future customer needs. Named 2010 CEO of the Year by Utah Business Magazine, Paul has built a service-driven business focused around both customers and employees, resulting in a strong corporate culture with high retention rates of both groups. Prior to joining inContact, Paul was an executive with HealthRider, Inc. Paul holds a Bachelor of Science degree in Accounting from the University of Utah. Gregory Ayers is responsible for inContact’s finance organization as Chief Financial Officer and brings to the role more than 27 years of experience in corporate finance, investor relations, strategic business operations and compliance at both private and publicly held companies. Greg has driven the inContact finance function in a number of key accomplishments, which were recognized when he was named Utah Business CFO of the Year in 2010. Greg drove the company’s refinancing and expansion of the existing revolving debt facility, while also obtaining an additional $5.5 million in capital equipment financing, and $32.3 million in equity capital, all of which significantly enhanced the company balance sheet. He has managed the business to positive EBITDAS for ten quarters, and significantly expanded the number of key financial analysts covering inContact, yielding positive ratings and increased strategic coverage of the company in the financial community. Greg’s efforts have significantly advanced the stock, and resulted in strong “buy” ratings from analysts. Prior to inContact, Greg was CFO at Zars Pharma, a specialty pharmaceutical company. While in the position, Greg established the company’s financial and operational infrastructure, led investor relations outreach and negotiated significant license agreements with partners. Earlier in his career, as CFO for TopTier Software (subsequently SAP Portals, Inc.), Greg drove the $400 million sale of the company to SAP AG. He also managed growth from $10 million to $170 million in revenue and guided the sales organization on software revenue recognition issues to maximize growth. Greg has held other CFO and financial leadership positions at Intransa, Inc., OccuLogix, UroQuest Medical Corporation, Tunstall Consulting, Inc. and KPMG. Greg received his Bachelor of Business Administration in Accounting from Stetson University and is a Certified Public Accountant (inactive status). 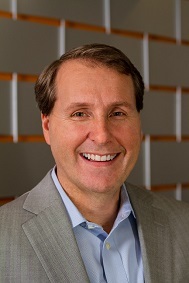 Bill Robinson is the Executive Vice President of Worldwide Sales at inContact, leading the global sales and partner channel teams for the company. 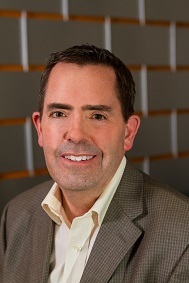 Bill is responsible for growing the company’s global cloud footprint through direct sales as well as indirect channels, including Siemens Enterprise Communications and Verizon Business. 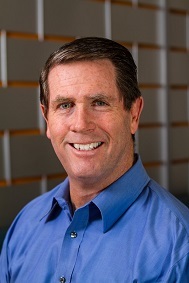 Bill brings a long history of successfully driving enterprise software sales upstream, and executing on evolving go-to-market strategies including Vice President of North America Sales at business intelligence pioneer Business Objects, where he was responsible for more than 250 direct and channel sales people. After Business Objects, Bill was Senior Vice President of Worldwide Field Operations for Witness Systems, where he lead a team of more than 200 and approximately tripled sales in 3 years, positioning the company for a $1 billion merger with Verint Systems. Additionally, he served as Vice President of the Americas for open source content management provider Alfresco Software, where he doubled the customer base in less than one year. Trent Savage is Chief Human Resource Officer at inContact and brings to the role more than 13 years’ experience at market-leading companies with assignments in both the U.S. and in the Philippines. At inContact provides the overall strategic HR leadership to the company; oversees the development and implementation of human resources programs and services, including talent acquisition, employee development, retention, legal compliance, benefits, employee relations, employment practices and procedures, and employee communications. With a workforce that has doubled in the past few years to more than 1000 employees across offices in Salt Lake City, Columbus, Ohio, Bolivia and the Philippines, recruiting, talent management and employee engagement has become a key differentiator for inContact. Trent is responsible for fostering a workplace cultural environment that is consistent with the mission, values, and guiding principles of inContact and plays a key role as internal consultant to the company's management team, managers and employees on people issues that affect performance and business relationships. 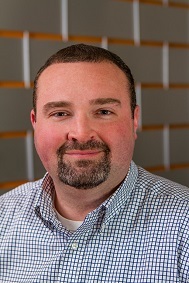 Trent joins inContact from Amazon.com, where he led HR for the Americas Customer Service organization. In this role, he managed HR across 8 locations with 13,000 employees. Prior to Amazon, Trent worked at eBay as the Senior HR Director for Global Customer Services and at Procter & Gamble, where he was based in the Philippines leading HR for the Asia Region. Trent is a graduate of Brigham Young University’s undergraduate and MBA programs. 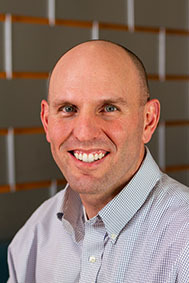 Jeff Canter serves as Senior Vice President of Services for inContact, where he leads Professional Services and Technical Support. Prior to inContact, Jeff was Chief Executive Officer and one of the founders of Uptivity, where he helped grow the business more than 150% in 10 years, leading to the company’s successful sales to inContact. Prior to co-founding Uptivity, Jeff built his extensive knowledge of the contact center industry while working as a senior software engineer for a large outsourcer, where he architected and launched the organization’s key software infrastructure, including several critical voice and data applications. Jeff received a Bachelor of Arts degree in Computer Science from Capital University. Daniel Lloyd is the Corporate General Counsel at inContact. He is a business-oriented legal executive with more than 20 years of corporate legal experience. Dan also has significant experience as an officer for growth-stage technology companies. At inContact, he is responsible for corporate governance, international transactions, commercial agreements, intellectual property, and other related legal matters. Previously, Dan was Legal Counsel at PROS Holdings, a software solutions provider. He has also previously served as Senior Counsel for SunTrust Banks, Enterbridge Technologies, and as Senior Commercial Counsel for Research In Motion Limited (now BlackBerry Limited). Dan holds a Juris Doctor degree from University of Virginia School of Law, a Bachelor of Science degree in Accounting, and a Bachelor of Arts degree in Economics from the University of Utah. Rajeev Shrivastava is responsible for inContact market strategy and leadership of the partner product ecosystem, business development and product management for inContact, the world’s largest cloud contact center company. Rajeev has nearly 20 years of business management experience, most recently at Rackspace, where he led global product marketing and business development for their $1.8 billion business. During his time with Rackspace, Shrivastava was responsible for developing and delivering go-to-market (GTM) strategy, positioning, messaging and execution for Rackspace Product, Solutions and Services portfolio for the $1.8 billion business. He led the company repositioning as the No. 1 Managed Cloud leader and created differentiation in the crowded Infrastructure-as-a-Service (IaaS) industry. Rajeev is a general management, product and marketing executive with functional expertise in products, marketing, business development and sales. He has intense focus on increasing revenue growth and profitability and specializes in bringing new products and offers to market. Rajeev has global business experience and a strong track record of developing and growing cloud and SaaS businesses by targeting marketing, support and IT buyers. Shrivastava is a veteran leader in the contact center industry with a history of accelerating revenue growth and profitability through both his venture-backed and public companies. Rajeev holds an MBA from the Wharton School of Business and a BS in engineering from Delhi College of Engineering. 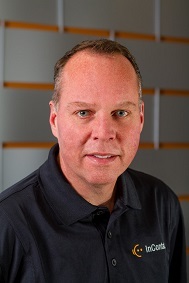 Randy Littleson is Chief Marketing Officer at inContact. In this role, Randy is responsible for the direction, strategy and overall management of inContact’s marketing efforts. Randy has amassed over 25 years of executive-level marketing experience within the software industry, most recently as Senior Vice President of Marketing with Flexera Software. During his time with Flexera, Littleson was a senior member of the executive team with global responsibility for marketing, product management and corporate development. Randy brings a wide range of marketing experience in the enterprise software space to inContact and a progressive track record of accomplishments. He has held executive level roles with product management and marketing responsibilities at Kinaxis, Interface Software, InstallShield Software, Spyglass, Inc., and Palindome. 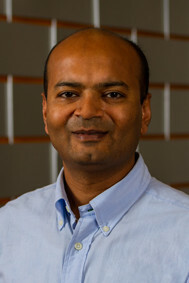 He holds an MBA from the Keller Graduate School of Management at DeVry University and a BS in Computer and Communication Sciences from the University of Michigan.